Attention, culinary newbies! 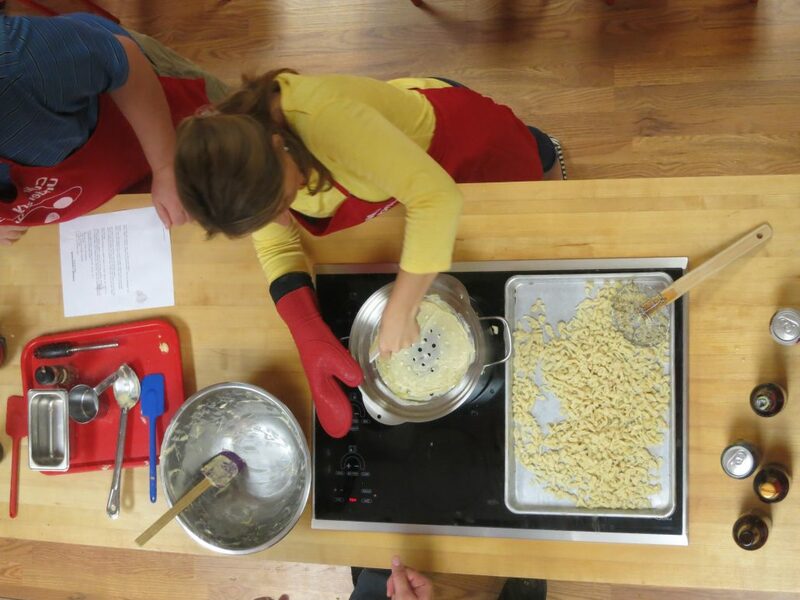 We offer a one-day Saturday workshop that will get you started in the kitchen. Students begin with knife skills and work their way through the 12 essential recipes we believe everyone should know. These recipes call for just a few simple ingredients, minimum equipment, and are open to lots of interpretations. And the techniques you learn will last a lifetime. This class is great for college students, college-bound students, post-grads, newlyweds, and people whose parents have finally kicked them out of the nest. For more details, especially concerning your level of expertise, please give us a call. You don’t need to bring anything – we provide an apron for use during class as well as plenty of take-away containers. You may bring along a chef’s knife (non-serrated) if you have one, and we’ll sharpen it for you. Note: Enrollment is limited; we want to keep the class small and focused!